This policy group discusses the development and implementation of technologies that will enable businesses to contribute profitably to the sustainable generation of power, as well as the protection of the environment and climate. The group’s focus is energy, environmental protection and sustainable technologies. The group's work in the energy sector focuses on shale gas, nuclear and renewables, including waste-to-energy. As with all policy groups, representatives of government, regulators and local authorities are invited to participate in the meetings. Electricity prices in 2019 – can you renegotiate your contract? The purpose of the event is to raise awareness on the ongoing process of climate change and the need for adaptation measures. 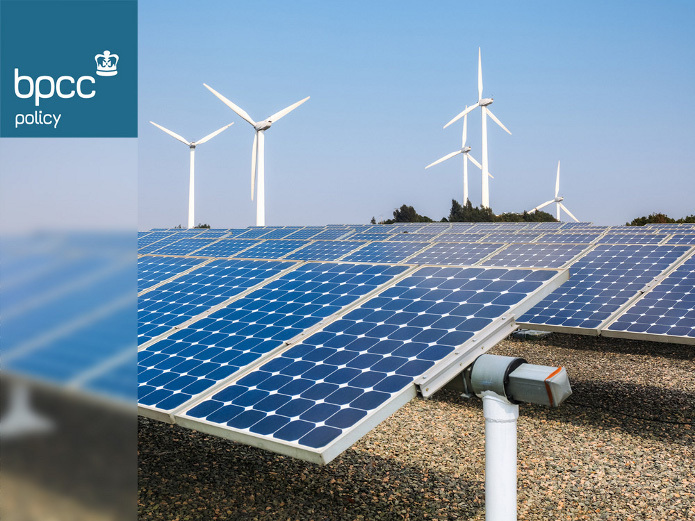 The BPCC, the British Embassy in Poland, the Polish Chamber of Renewable and Distributed Energy invite you to a seminar focused on the chances for the Polish renewable energy sector. Climate researchers forecast that Poland will have shorter winters, with less snow; longer vegetative periods; drier, hotter summers punctuated with intense rainstorms. This will create new challenges for the Polish state, at national, regional and local levels. The BPCC’s Environment & CleanTech policy group met at the British Embassy on 1 June 2016 to raise awareness on the ongoing process of climate change and the need for adaptation measures.